As the climate changes, we can expect more frequent and more extreme weather events, which will put pressure on our current infrastructure. It has been suggested that increasing temperatures will intensify rainfall, indicating that we are likely to endure bigger storms and more dangerous flooding in a future warmer climate. Our study, published today in the journal Nature Geoscience, shows that this intensification in flooding may be even greater than expected. This is because of changes to the distribution of rainfall within storms – something known as the “temporal pattern”. This study is the first to show that temperature changes are disrupting temporal rainfall patterns within storms themselves. When it comes to flash flooding, this is just as important, if not more so, than the total volume of rainfall that a given storm delivers. If this trend continues with future climate warming, more destructive flooding across Australia’s major urban centres is likely. Because our findings were true across every Australian climate zone, ranging from tropical and arid to temperate, we can expect similar risks throughout the country, and conceivably elsewhere in the world too. Whether it is in politics, science or engineering, the past can be a good indicator of the future. Historical records of rainfall have long been examined for patterns to help us make sense of how the climate might change in the future. By linking existing observations of rainfall intensity and temperature it has been found, in general, that we can expect more rainfall when temperatures are higher. This observation is founded in thermodynamics and underwritten by the Clausius-Clapeyron relationship, which states that for each degree Centigrade increase in temperature, 7% more moisture will accumulate in the atmosphere. It is not a large step to surmise from this that rainfall volumes will be 7% greater. However, historical observations do not necessarily confirm this rate of increase – at least, not in a uniform way. Some places have experienced rainfall increases of more than 7%, while others have seen less than 7%. This discrepancy is important. It suggests that changes in overall storm intensity are not the only change in rainfall a warmer climate may bring. There are other, more subtle disruptions we need to look for. In our study, we used historical data from 79 different locations around Australia, collected by the Bureau of Meteorology. This includes sites at each of the major capital cities, as well as regional areas in all states and territories. At each location we isolated storm events and then split each storm event into five segments, to determine the percentage of rain that fell in each. So, for example, a one-hour storm would be divided into five 12-minute segments. By comparing the amounts of rainfall in each of these fractions to the average daily temperature at that location, we were able to check if there was any systematic relationship between the rainfall fractions within the storm and the ambient temperature. Our results were unexpected. At every location, we saw that higher temperatures were linked to an increase in the largest fraction and a corresponding decrease in the smallest fraction. In other words, the storm pattern was less uniform and more erratic when the temperature was higher. Moreover, we found that these changes would increase flood peaks even if the storm volume remained unchanged, because more of the rainfall was concentrated into intense bursts. Factor in the changes in overall storm volumes, which are also likely to increase with warming, and this is a recipe for more flood danger in areas including Australia’s urban centres. So why is this important? 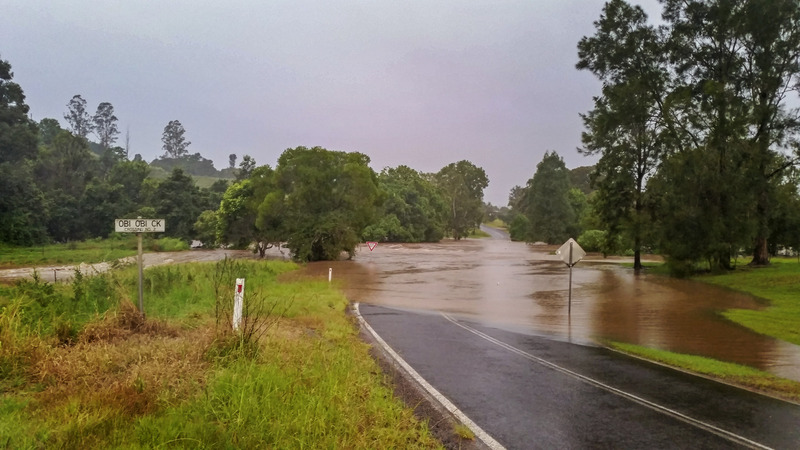 Engineers Australia is in the process of rewriting the Australian Rainfall and Runoff guidelines, which dictate how we estimate potential flooding when designing infrastructure. 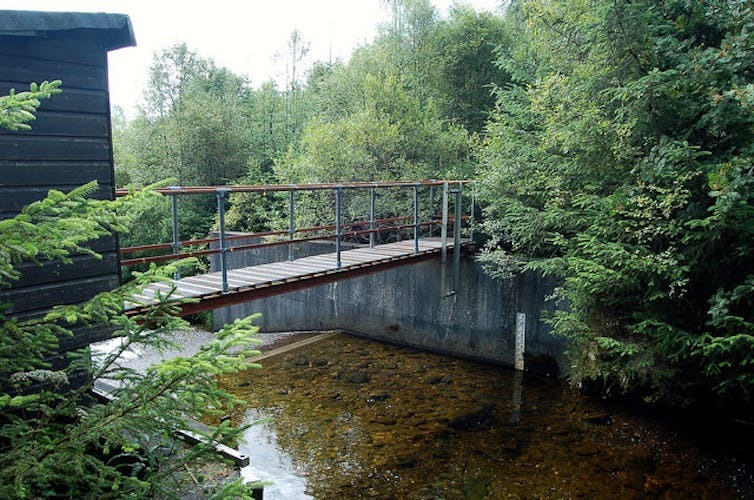 Every structure, whether it be a roadside gutter, a bridge, or an office block, is built to withstand a flood of a given size and risk of occurrence. But if rainfall is changing, we need to plan for how we will design and build these structures to withstand the possibility of more destructive floods. We need to make sure our infrastructure can handle the strain. Although history doesn’t necessarily have to repeat itself, the increase in non-uniformity linked to higher temperatures suggests that if temperatures increase we may see more increases in the destructive force of floods in the future. Planners need to consider whether the existing infrastructure that we take for granted every day needs added fortification to withstand the impacts of climate change. Conrad Wasko is PhD Candidate in Civil Engineering at UNSW Australia. Ashish Sharma is Professor, School of Civil and Environmental Engineering at UNSW Australia. 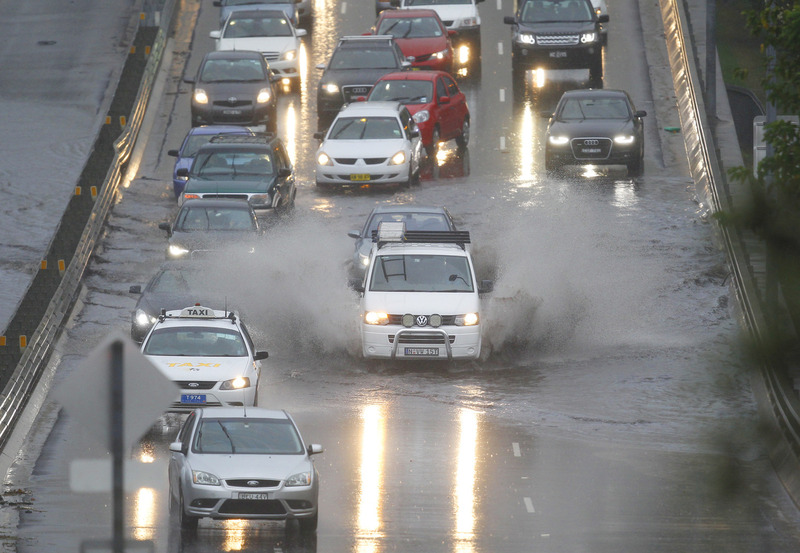 The link below is to an article that considers flooding in Australia and the impact of climate change. The link below is to an article reporting on the threat to Kiribati by climate change and flooding.